Filing, cutting, sanding and sawing of small parts is a lot easier with this unique tool. 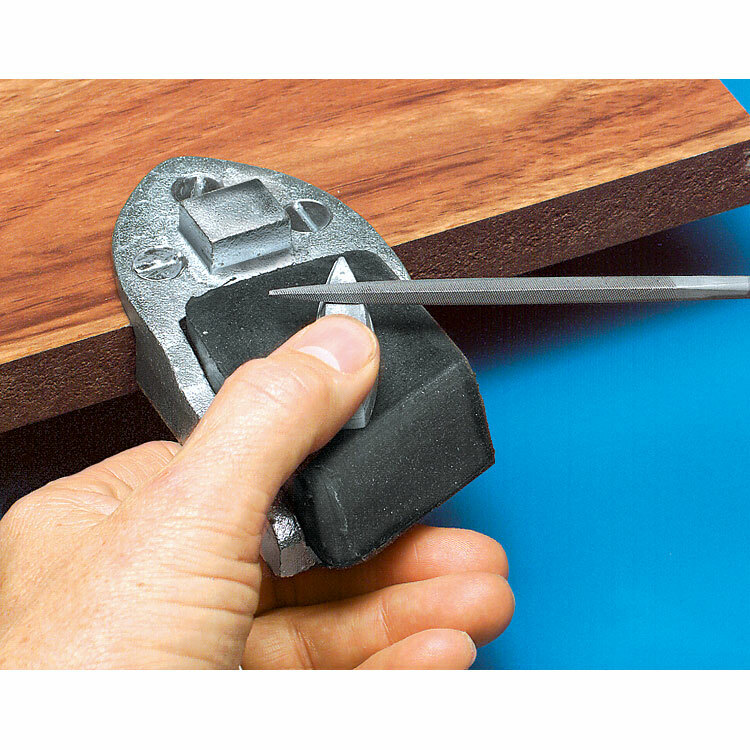 Metal block attaches to your workbench with wood screws (not included). Rubber insert keeps items from slipping and protects against marring. And since it extends beyond workbench edge, it becomes a miniature work surface that gives you a lot more control, visibility and holding power. Also has a handy anvil when you need a hard working surface.